Ideally this story is supposed to be about the new Audi A3 - it's a facelift with some minor cosmetic changes. 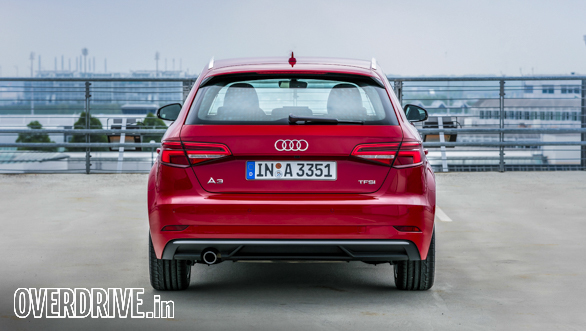 However, on the official drive event in Munich, a good friend reminded me that the A3 for India is going to come with the same set of variables, nothing apart from the cosmetic changes are what's included. Yes, there may be a petrol addition and no one at Audi is willing to part with that information. So rather than spending time with the same engine configuration that we have spoken about in the past, I decided to explore everything else they had on offer. 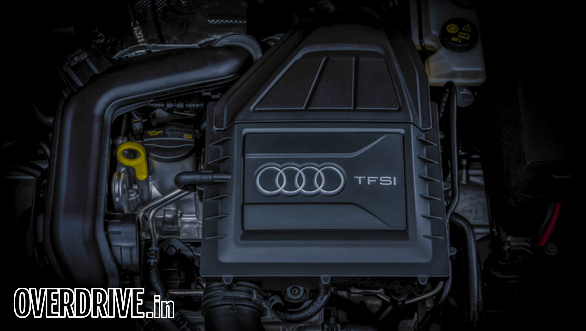 This then is the review of the Audi 1.0 TFSi motor, a turbocharged engine that is small and economical and breathes trough just 3 cylinders. And Audi India would be making one of the biggest mistakes if it doesn't offer this engine option in our market. A 1.0-litre petrol engine, 3-cylinder? In an Audi? Is that luxury motoring? Well, make no mistake that this motor may be a small compact engine and a wholly new introduction in the Audi range, but it's derived from the Volkswagen Golf (EA211 / 1.0 R3) and packs in some better engineering to match up to Audi's higher standards of luxury and performance. When I turned the key to switch on the car, I simply couldn't hear the engine. Forget about any sound, there wasn't even any perceptible throb in the footwall to indicate the engine was ticking over. The only giveaway was the tachometer which was idling just around the 800rpm mark. For the nerds, this 1.0-litre motor displaces 999cc and is fed by a direct injection system. A turbocharger with an indirect intercooler feeds the charge, and the architecture uses a 4-valve per cylinder configuration with a dual overhead camshaft layout. Engine responses are controlled by a drive-by-wire system, and the entire exhaust though similar to the other cars in the A3 range has been specifically tuned to optimise the 1.0-litres performance and emissions. This 1.0-litre engine has to easily be the smoothest 3-cylinder motor I have ever switched on and had the pleasure to drive. So not only was the engine incredibly silent, there were minimal vibrations, almost none to speak of. Again let me emphasize the fact that our impressions of a 3-cylinder motor are what Maruti and Renault have showcased in the recent past. Neither of them ideally speaks volumes about just how refined and luxurious a 3-cylinder motor can actually get. They in fact feel so rudimentary that the A3's 1.0-litre motor hits you with a jolt! Now here's the trick bit - this engine is extremely light and that's what 3-cylinders do very well. It weighs just 88 kilos, thanks to lightened pistons and connecting rods, and that also means it has no need for a balancer shaft or any other balancing. It is inherently smooth. A dual mass flywheel and torsional dampers with a lighter crankshaft add a few more oooh's to the smooooooth in this motor! So how much does she make and what's she worth? The 1.0-litre motor is capable of generating 115PS of max power that's available between 5,000-5,500rpm. That's a fairly high mark on the rev counter for the power to peak but with 200Nm of max torque coming in between 2,000-3,500rpm; driveability is never affected. It's a spirited motor and the one that loves being revved hard, and it's surprisingly quick too. 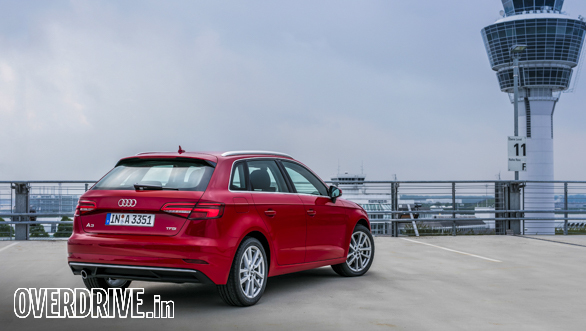 Audi claims the 1.0-litre A3 will do a 100kmph in just 9.9 seconds with a top speed of 204kmph. Driving the motor, however, isn't exactly what the specs make it out to be. You have to work with this engine a bit. It's quick, responsive and silent what I've already affirmed. However, the performance is quite engaging. You don't feel the poke of a diesel motor, and as Indians we are quite spoiled by the linearity diesel motors provide. The A3 1.0-litre petrol, however, build speed rapidly until you get to about 4,000rpm where you feel the power diminishing rapidly. In fact, drive this spec without pushing it too hard and the rewards are much bigger, both in terms of efficiency and refinement. It's a brilliant little urban car and should be decidedly good natured in our harsh traffic conditions. For our purposes, this is a brilliant engine, and bear in mind in Europe this is the entry-level motor in the A3 and the most affordable configuration. These compact turbo motors are no longer as expensive as they used to be, and the A3 is clearly leading the way in this regard! What may bring the cost up for India is the 7-speed S-tronic automatic transmission which I presume will be the only option for India. 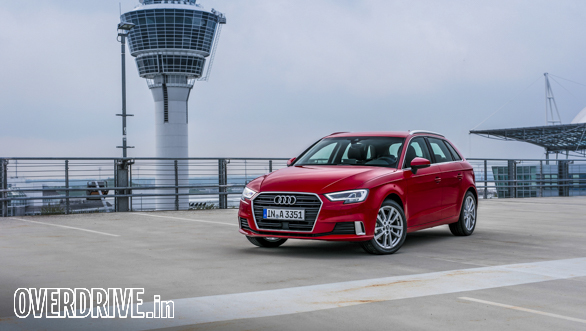 The A3 with the 1.0 engine specifically gets a dual-clutch transmission (DSG), but with a dry clutch unlike the other A3's which get a wet clutch system, the transmission is more optimised to the power and torque deliveries from the more smaller engine. So much for the engine, what about the rest of the A3. It's a nice looking car on the outside. Audi's new matrix headlamp technology has finally filtered down to the A3 as well and will be made available to consumers as an option. Newer bumpers at the front and mild reworking at the other end including a new set of tail lamps are about the only changes on the outside. 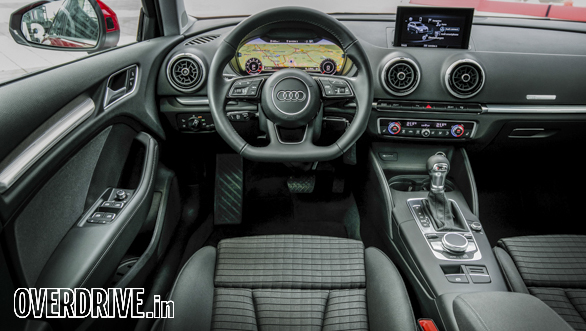 Inside the new instrument cluster is the big wow earner and the A3 reflects technology that is already making waves in larger Audis. Its biggest attraction though is that it has the same virtual cockpit as in the new Q7 and the TT, and it's a head turner. Otherwise most of the other stuff is something you may have already seen or are familiar with. Where do the dynamics stand? Without any significant changes expect the ride quality and handling to be just the same as before. By which I mean it's sharp and confident in urban areas. On the highways though the A3 does feel light though never unsettled. The surface conditions here in Munich are far, far better than back home, and the constant undulations and bumpiness of our roads make driving this car at higher speeds a bit uncomfortable. It's best at anywhere between 120-140kmph. Ride quality also is plush for the segment. So overall, I'd give the 1.0 A3 the highest marks. It is the time anyway we made the shift from diesels to petrol, and this compact petrol motor is one of the best out there. I'd highly recommend it to anyone wanting to get the A3, diesel is just so yesterday, and this 1.0-litre engine simply holds all the cards for a value and fun ownership experience. 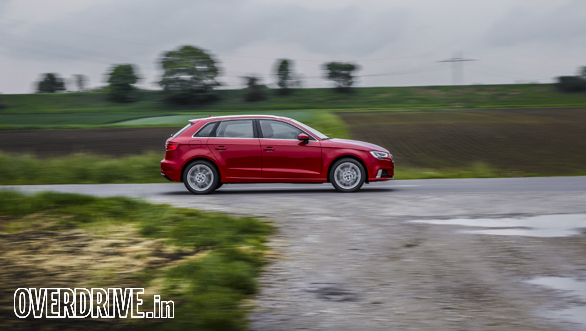 Audi India, take the right decision - this one's definitely a winner!